The Outer Banks is a rich ecosystem with many valuable components working together. As members of this ecosystem we play an important role in its success! From helping our community grow and flourish to taking care of the current members that need a little extra help. At Joe Lamb Realty we know how important marine life is which is why we strive to keep it healthy and thriving. 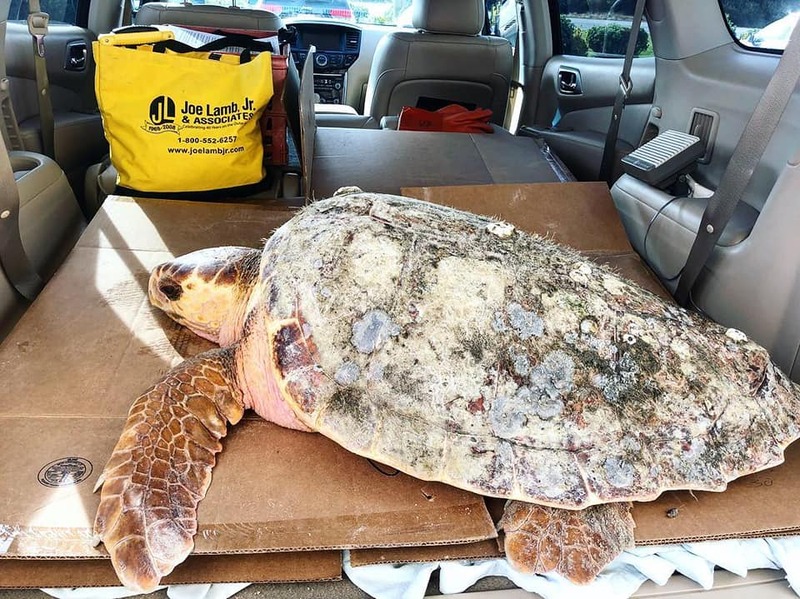 Recently our Broker in charge rescued a beautiful 110 pound Loggerhead turtle that had beached itself in Corolla, NC and needed a ride. As a long time member of the organization NEST, he followed all protocols and immediately brought this stunning sea creature to the North Carolina Aquarium located in Manteo where there is a rehabilitation center for sea turtles, this center is referred to as STAR center (Sea Turtle Assistance and Rehabilitation ). We would like to encourage all of our readers to visit the STAR center located at the North Carolina Aquarium where they are currently rehabilitating 16 turtles! Our community on the Outer Banks LOVES it’s marine life and we encourage all of our visitors and new members to jump on board and participate in organization that help to conserve and protect it such as NEST, STAR and even local beach cleanups!